None of us like leaving our dog behind while we travel, and so more and more people are opting to bring them along to see the world with them. While in some cases this is fantastic and can be the perfect chance to have fun with your pet and make memories, it isn’t always plain sailing. There are a number of questions you need to ask yourself before considering booking a getaway for you and your dog. 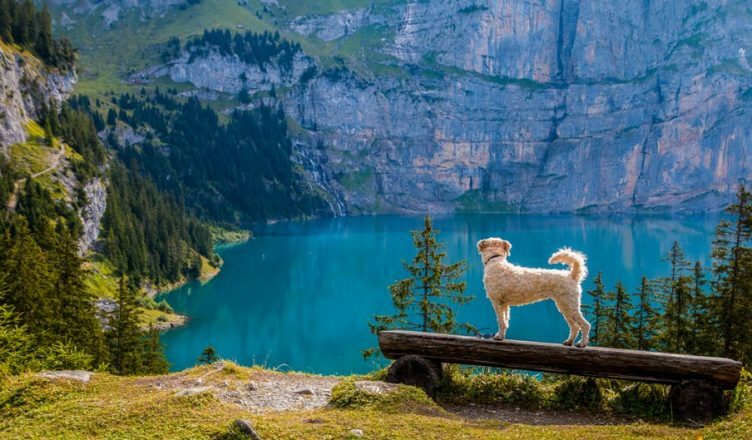 Is your dog fit to travel? You should only travel with your dog if they’re fit and well enough. Puppies, senior dogs and those with pre-existing health conditions need extra care, so you should weigh up the pros and cons carefully when considering bringing them. Bear in mind things like any medication they might need, and where you’d seek help if something happened to them while you were away. If your dog experiences travel sickness or gets hyperactive after being cooped up for hours, you might want to consider if bringing them is a good idea. Will your dog enjoy it? Even if your dog is physically fit and healthy, it doesn’t instantly make them a good candidate for travel. Maybe they’re nervous, or can be aggressive in certain situations. Maybe they have a phobia of riding in the car, or generally just won’t enjoy the journey. Just because we enjoy travelling doesn’t mean that they will, and forcing them along if you know they won’t like most of the trip can be a little cruel. As dog owners, none of us like leaving our pooches in kennels while we’re out seeing the world. But in some cases, this can be the best thing to do instead of dragging them along. Travelling with a pet isn’t necessarily cheap. From crates to vaccinations to insurances and more, it can all add up. Check how much extra it’s likely to cost you if you bring your dog with you. Even if you still want to go ahead, it’s worth going into things with your eyes open. If you find that it’s going to cost more than you have right now, you could always pay on credit. A loan or credit card would allow you to borrow money and spread the cost of paying it back later on. You can learn more about this topic online. Even if your dog is healthy and happy to travel, you need to decide if the location is suitable for them. Very hot locations are not recommended if you want to spend a lot of time outside with your pooch. Very busy or more dangerous locations due to things like traffic and crime might also be best avoided. It should be safe for your dog, and somewhere they’re likely to be happy going to. More rural locations that are quieter and away from busy roads are a good choice. Going away with your dog will require some degree of compromise. You might not be able to stay in the place you want, there are restaurants, shops, museums and other places that you won’t be able to go in when you have them with you. You have to make sure that they’re happy and contented. Be sure that you’re happy to make this commitment while you’re on holiday- as lets face it, it’s a chance for you to have a good time too. If it seems like a lot of work, leaving them with family at home or kennels would be the best option. How will you transport them? One of the biggest concerns when travelling with pets is how you’ll transport the. If you’re not going abroad this shouldn’t be an issue, just clip their harness into a doggy seat belt to keep them secure or put a crate in the boot of your car. If you’re going to be flying you’ll need to put them in a crate, and for this reason it’s important to crate train them. If they’re already used to being in this space, chewing their toys and napping then it will make everything much less stressful when they’re crated on the flight. What would you do in an emergency? If something happened to your dog while you were away, what would you do? Have the number to an emergency vet in the area stored in your phone, and invest in a GPS tracking collar. That way, if your dog goes missing you can find their location on an app on your phone and be reunited as quickly as possible. They can be pricey but are so worth the money, particularly when you’re in a strange place. Are there any legal requirements? If you’re travelling from one rabies- free country to another it can be relatively simple. However there are some places in the world that require rabies jabs and proof of them being clear of the disease. There’s also sometimes a quarantine necessary. If the quarantine is two weeks and you’re only going away for two weeks then of course bringing your dog is pointless. Do your research beforehand, know what the procedure is and what paperwork you will need. What vaccinations will they need? Your dog will always need up to date vaccinations to travel. This helps to protect them, as well as prevent diseases spreading in the place you’re visiting. Check which specifically they need before you travel and have these topped up ahead of time. Some, such as the kennel cough jab, are live vaccines so have to be administered a number of weeks before travel. If your dogs jabs have expired, they’ll need to start a new course which involves having two lots of injections given a month apart. Don’t leave it until the last minute for these kinds of reasons, you could end up being caught short. Have you ever travelled with your dog? If so, what advice would you give to others looking to do the same?